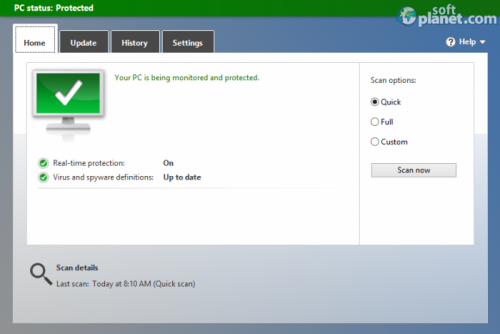 SoftPlanet makes it possible for everyone to get free Microsoft Security Essentials download directly from our servers. There is no registration needed for downloading. This security program is developed by Microsoft for Windows Vista and 7 users. It successfully manages to detect viruses, remove spyware, trojans and other malicious software. Please keep in mind that if you use Windows 8 or 8.1, this application has been already installed on your system, because it is included within the installation pack. 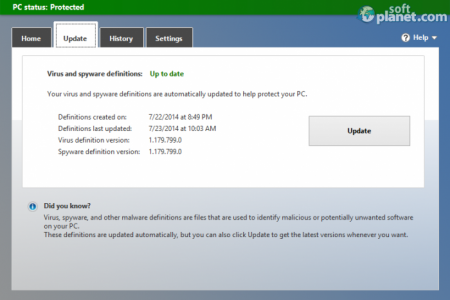 Its protection against rootkits and bootkits has been enhanced and it is now called Windows Defender. 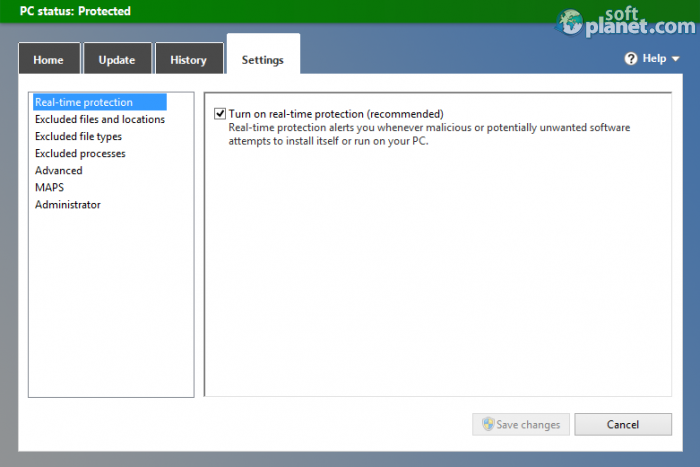 Microsoft Security Essentials is anti-malware software, which seems to be the baseline among all antivirus programs on the market. Actually, the developer has never stated the opposite. This free security application offers real time protection, history and three scanning modes - Quick, Full and Custom. Fortunately, the software updates frequently, so you can be sure that you will have the latest virus and spyware definitions. This antivirus program offers a very clean and tabbed interface. Its Home tab provides you with brief information about your current system security status. Basically, green is OK, yellow – pay attention, red – bad. To the right, you will find the three scan options, so actually it takes a couple of clicks only to initiate a scanning process. Besides the refined graphical user interface and regular updates, the program demonstrates decent performance too. It seems to be light on resources and fortunately it doesn't take ages to finalize a scanning procedure. The software offers decent virus and spyware detection too. 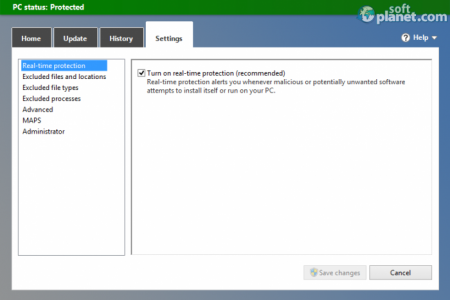 If you still use Windows Vista or 7 and you are looking for a baseline security program, Microsoft Security Essentials 4.7.205.0 should be your choice. It doesn't require many system resources and provides you with proper virus protection. 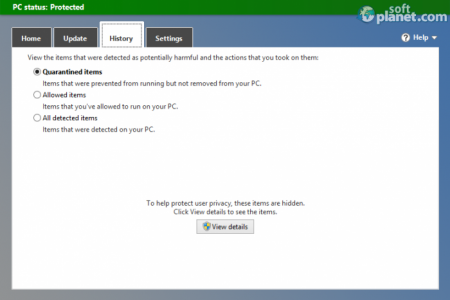 Microsoft Security Essentials is VIRUS-FREE! Our security scan shows that Microsoft Security Essentials is clean from viruses. The current version of Microsoft Security Essentials has been scanned by our system, which contains 46 different anti-virus algorithms. 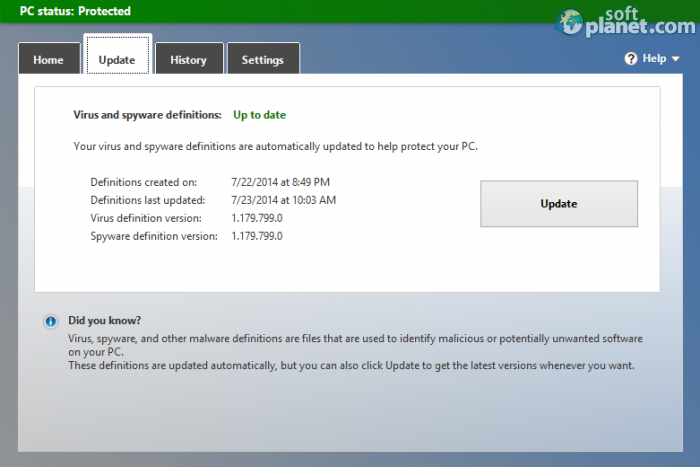 That ensures that Microsoft Security Essentials 4.7.205.0 is 100% safe for your computer.